WE FIX AND REPAIR SIGNS! At Blue Diamond Signs, we are fully licensed, insured and bonded. 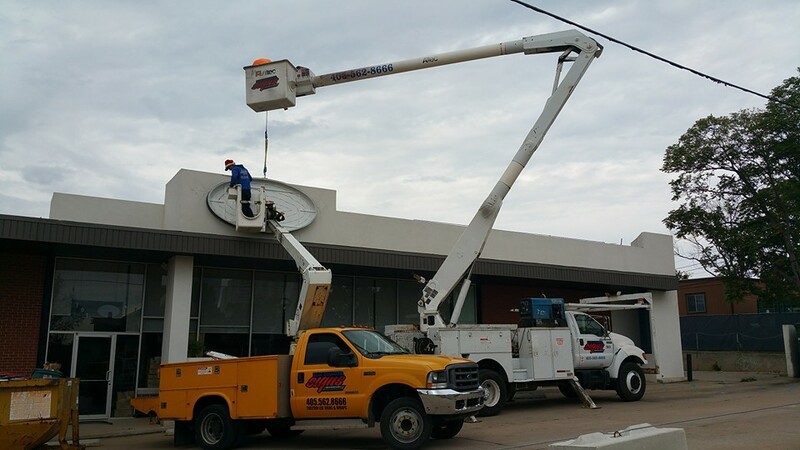 Our signs maintenance crew are fully knowledgable and experienced to help you with all your signage needs throughout Oklahoma City’s Metro and with our trucks fully stocked and equipped with parts and bulbs, we can get your signage serviced and back online right then and there with just one visit. Schedule your service call with us today! Blue Diamond Signs can offer you a turnkey service on your sign needs.